Tim Commerford is kicking up a storm in both the musical and political worlds with his new politically-charged punk rock trio WAKRAT (pronounced wôk•rat). Surrounding the band's damning political statements is a devastating new sound which features the notorious RAGE AGAINST THE MACHINE bassist on both vocals and bass over a tight mix of punchy, rhythmic and dynamic punk rock. Watch the new video, "Smashing The Grid" - an introduction to the band which takes you inside their world as they talk about their formation, the creation of their self-titled debut album, their use of different effects and sounds, and much more - below. WAKRAT guitarist Laurent Grangeon comments: "We need to do something completely opposite of that boxed-in, overproduced, gutless type of music that's hammered every day." Along with drummer Mathias Wakrat, the group recently led a protest through the streets of London, declaring a brand new micronation in what was formerly known as Parliament Square in an audacious effort to expose the failings of the current political system. 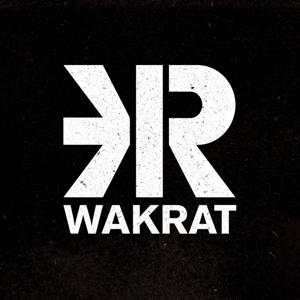 WAKRAT's self-titled debut album is due to be released on November 11th on physical formats and November 8th on digital formats to coincide with the US election.